Take a break from your busy design schedule. 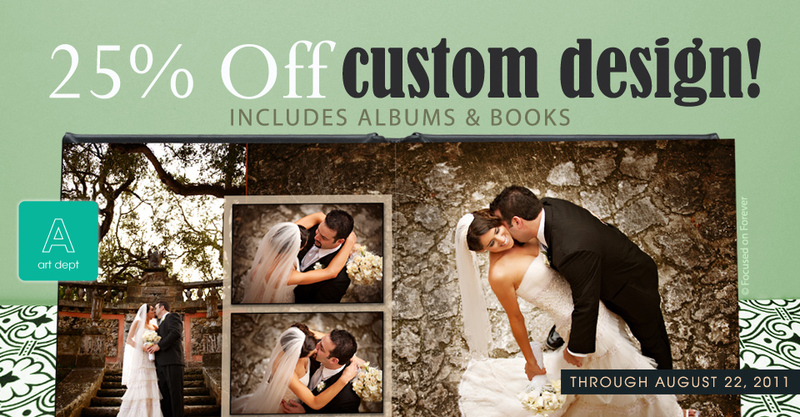 With 25% OFF Custom Album and Book Design, now through August 22, 2011, our Art Department can save you both time and money this summer. Discount applies to the design of Flush Mount Albums, LayFlat Albums, and LayFlat Press Books. Get out from behind your computer and spend some time in the sun!